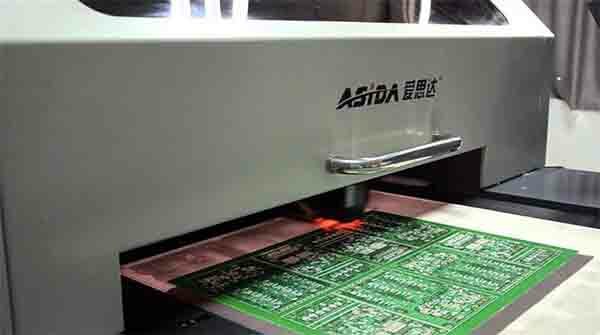 Silkscreen is a layer of ink traces used to identify components, test points, parts of the PCB, warning symbols, logos, and marks etc. 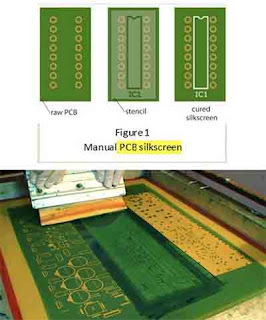 This silkscreen is usually applied on the component side; however, using silkscreen on the solder side is also not uncommon. But this may increase the cost. 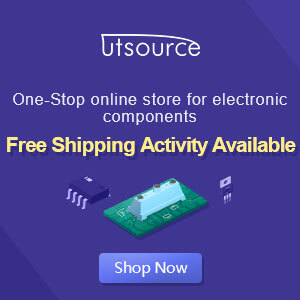 Essentially a detailed PCB silkscreen can help both the manufacturer and the engineer to locate and identify all the components. 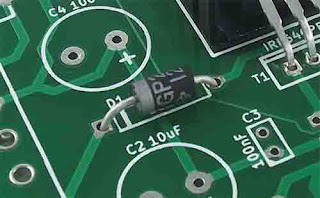 The ink is a non-conductive epoxy ink. The ink used for these markings is highly formulated. The standard colors we normally see are black, white and yellow. PCB software also uses standard fonts in silkscreen layers but you can choose other fonts from the system too. 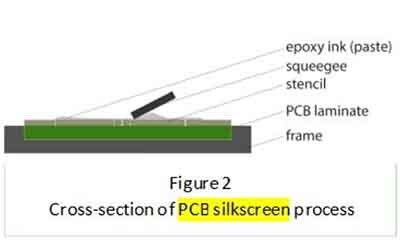 For traditional silk-screening you require a polyester screen stretched on aluminum frames, a laser photoplotter, spray developer and curing ovens. Manual screen-printing is done when the line widths are greater than 7 mil (0.007”) and the registration tolerance is 5 mil. For this method, you require a stencil of the text and traces made of nylon. The ink is pushed through the stencil onto the laminate. Next, the board is baked in a curing oven for the ink to cure. The application and set up is easy but the result is least precise. DLP is the most accurate of all these processes but is more expensive. In this process, an inkjet projector is used with acrylic ink that is applied to the raw PCB directly from the CAD data. The ink is cured with UV light as it is printed. It should be noted though that the acrylic ink does not cure on boards with silver finishes. 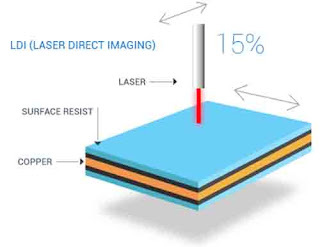 A properly designed silk-screen can prove to be highly useful as it can reduce the chance of error and can reduce the time taken to spot the error. 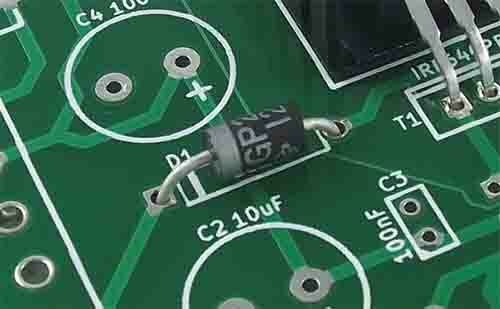 The silkscreen can easily label the passive components of the PCB no matter how packed the board may be.